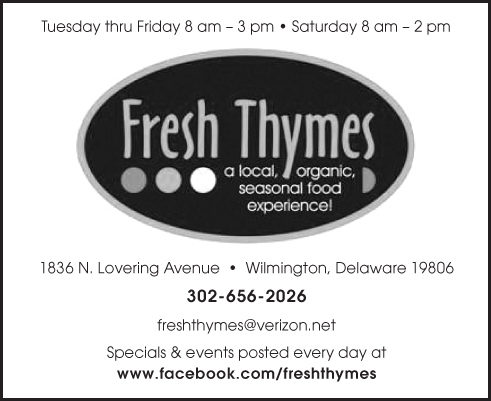 Opening Fresh Thymes our main goal was providing real whole food to our community and source from local chemical free farmers as much as possible. We wanted to create a place for all people to feel welcome so we designed a menu for vegans, vegetarians, and omnivores. Working with small local farmers we know where our food is coming from, how it is being produced, and supports their livelihood. If we lose our small farmers, we lose our food supply. Sourcing food locally reduces the carbon footprint making Mother Earth happier and keeps the income flowing within our local community. The community sustains our business. We have met so many amazing people. As the community supports us through our ups and downs, we are happy to support our community. It feels good to help others. We created a happy little corner and thanks to social media attract tourists. It is so much fun meeting people from other areas, hearing how beautiful our city is, and making recommendations of things to do. It’s also really neat to hear people say, “It’s nice your community has great places like this.” It makes me realize we created the type of place we would search for on our travels. As a small business owner my thought processes have changed. I rarely shop in national chain stores anymore. I first think what small business can I support. Why support the small business and maybe not make the one stop convenient shop? I know how hardworking, passionate, and the integrity those small businesses have. I know I am supporting their livelihood as they support ours. I know that they care about our community as much as we do. The prices might be a little higher, but I know that the investment is going to help a family in our community. Small businesses are the backbone of our community, express the character of our city, appeal to visitors, and make us want to call Delaware home. Think local first + buy local when you can = Being a local!